Back in November, reports surfaced that Instagram was testing a new account switching option - a much requested feature, particularly given the rising amount of people utilizing Instagram for both business and recreational purposes. Today, those reports have been confirmed, with Instagram announcing, via their official blog, that all users will be given the capacity to easily switch between multiple accounts on the platform. 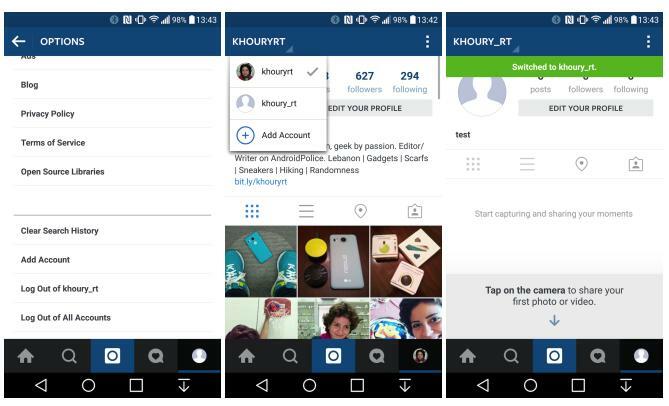 You'll be able to add up to five Instagram accounts which you'll be able to switch between without having to log out and log back in. The update's rolling out to all users over the next week (in version 7.15), so if you're not seeing the option yet, you soon will. To mark the release, here are three ways in which Instagram's new account switching functionality can be utilized for best benefit. The most obvious - and likely beneficial - way to utilize Instagram's new account switching functionality is to better manage your business and personal accounts. And it couldn't have come at a better time - in September last year, Instagram announced that their self-serve ad offering would be made available to all business, everywhere. And given the platform's growth (Instagram's gone from 200 million users in 2014 to 400 million at last check), advertisers have been very keen to jump in and use the platform to reach that expanding, visually-focused user base. The ability to quickly and easily switch between accounts will be a blessing for social media managers. One of the most common mis-steps people make with their business social media accounts is in mixing too much personal with their brand content, which often blurs the line between work and play, and muddles your brand message in the process. Brands should have a set mission or purpose statement that serves as a tent pole for their social strategy, and making it easier to clearly delineate between the two identities can only be beneficial in helping define this separation. The new functionality may also see an increase in content posted, now that people will more easily be able to update their business page without having to log out and log back in. Being able to switch and post could make business owners more active on the platform, and the amount of time saved will be significant for those with active brand profiles alongside their own, personal accounts. The update's also important for those who currently use third-party tools to perform similar account switching functionality - Instagram recently announced that they'll be restricting access to their API as of June 1st, 2016, meaning alot of these additional services will cease to exist or offer such an option. 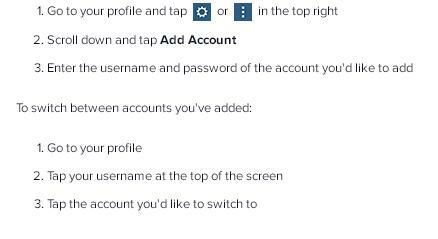 For those who've come to rely on these apps for easy account switching, doing it through Instagram itself will soon be your only option. An increasingly common trend, particularly among younger users of the app, is to create multiple accounts in order to present different aspects of your personality and life to different audiences. Users, for example, might have their regular Instagram account, where they post their polished, pristine, filtered images, carefully selected in order to garner the most likes, and, by extension, the most social approval. In addition to this, a growing number of users are also setting up 'Finstagram' accounts - or 'fake instagram', where they can post goofy, unflattering, silly images, without fear of criticism or judgment. "[Finstagram] completely went against all that Instagram has been for me in the past 2 or 3 years I have been on the social network. I have learned that Instagram posts are an art. It can take a lot of time for me to post a photo on Instagram. I need to decide the photo to post, ask friends for advice on captions, make sure every blemish is not seen, and edit it. I, along with other teens, spend this time because we know that everyone will see it and it can define who you are." The pressure for perfection on social came into significant focus last year after teen social media star Essena O'Neill spoke out about the lengths she would go to in order to present a perfect life via her social accounts - a life which is actually far from her living truth. O'Neill had become disillusioned by the process, so she went back through her old Instagram posts and updated the image captions to reflect the actual truth behind her many 'in the moment' shots. The pressure for social acceptance has lead to the growth of the 'Finsta' trend, with teens often referring to their everyday Instagram account as their 'Rinsta' or their 'real Instagram' presence. "A mom whose kids attend Horace Mann says she first heard the term [Finsta] nine months ago during a meeting led by Common Sense Media, an organization that helps educate parents on emerging technology. 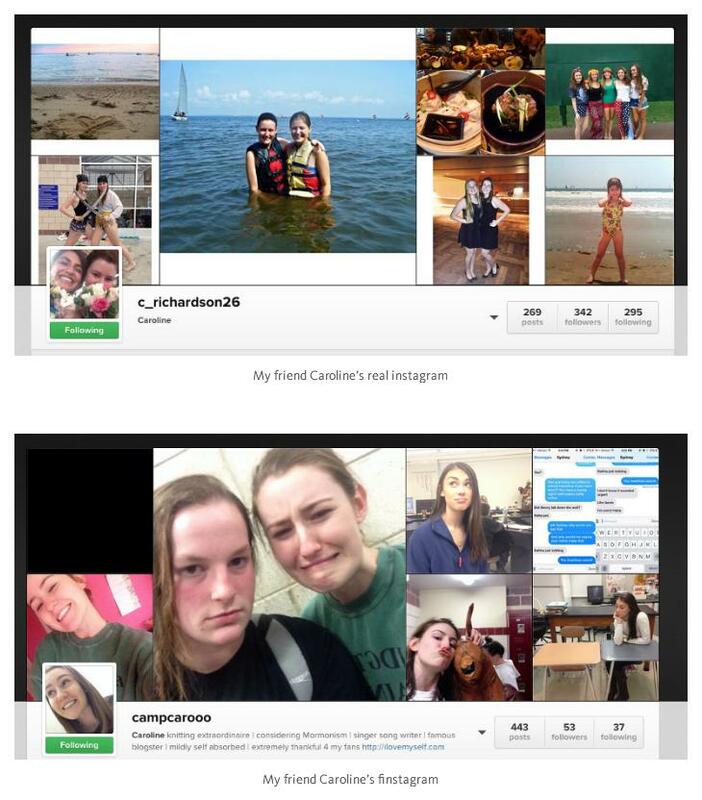 "A mom in the audience turned around and told a mom next to me that there is something called 'Finstagram,' and kids use it to trick their parents into following them there when in reality they have a second 'true' account"
Teens will give their parents their Instagram details and share their polished, highly curated collections with them, while posting their more outlandish content on their Finsta accounts for the benefit of their friends. It's likely that Instagram's not looking to support such behavior with the addition of account switching, but it is, inevitably, one of the processes which this new option will facilitate - with the ability to more easily jump between different profiles, people will be able to utilize different approaches, to build a mock-up or test page, effectively, to share different content and express different sides of their personality. There are various ways to utilize such an option, including from a brand perspective - and while the Finsta trend is more aimed at circumventing social acceptance and avoiding prying eyes, it does highlight a new way of thinking about how to use Instagram for A/B testing and/or for presenting an alternate side to your story. One of the more innovative ways in which Instagram has been used by brands recently has been in hosting interactive games on the platform. How do you do that? The process is basically a 'choose your own adventure' style approach, where you link a series of Instagram accounts and direct users to click through to each - Adult Swim utilized this as part of a promotion for their cartoon 'Rick and Morty' last year. 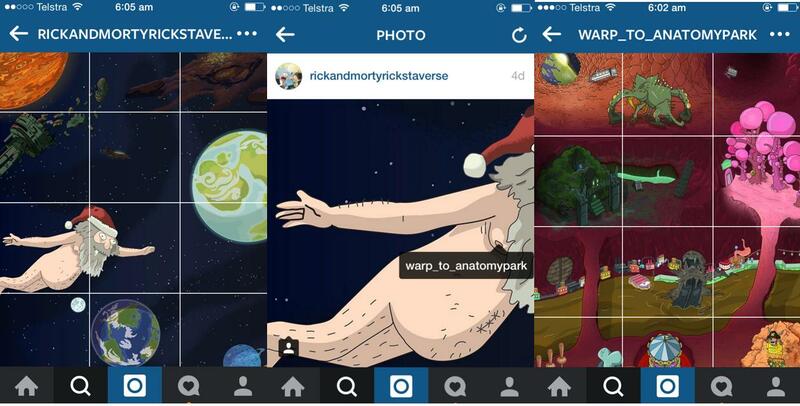 As you can see from the above sequence, the game is linked by tags in each image which link users through to other accounts - users can make choices about which tag/s they want to follow to see the story through (in this instance, Adult Swim had set up 80 linked Instagram accounts which rewarded fans with exclusive content in an immersive, on-platform experience). While such an option won't work for everyone, in this case, Adult Swim had established that a significant portion of their audience was active on Instagram, therefore it made sense to make the platform a focus for their promotional efforts. And providing them with a game, a way they could interact within Instagram itself, was an interesting and creative way to build awareness for the new series of Rick and Morty, and it proved to be a popular activation amongst that audience group. Even if you don't think such an option would work for you, it does highlight a different way of thinking about your Instagram presence, and the new account switching option will make it easier to create more immersive, interactive content across Instagram by giving you better access to all the different elements of such a process. If you were a brand that made handmade soaps, for example, you might create separate accounts for each of the ingredients you use, then link to those accounts within your images (via tags) so users can click through and find out more information about each element and its benefits. 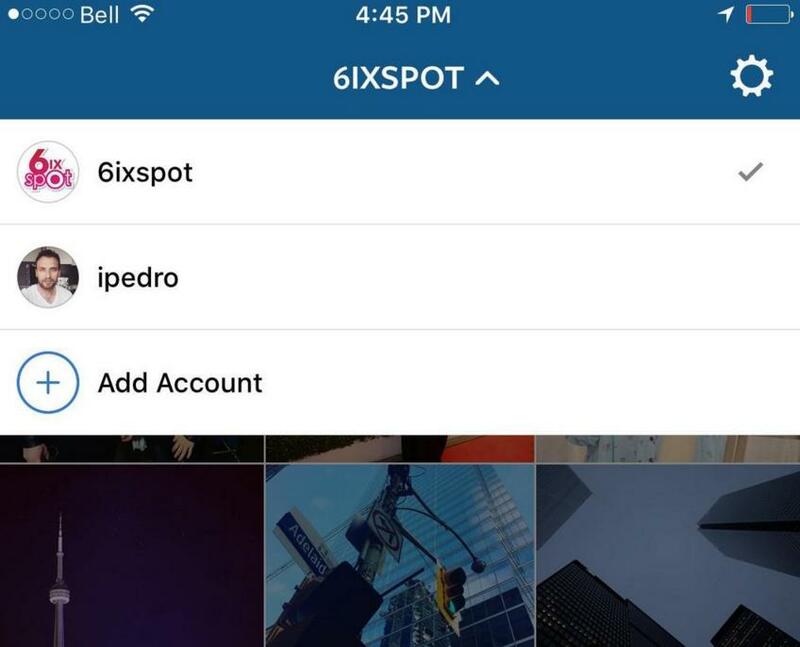 Easier account switching provides more opportunities to create new and/or different experiences within Instagram, expanding the possibilities of what you might be able to do with on-platform content. These are just three ways that Instagram's account switching option could be of benefit, and there's likely a heap more that haven't even been considered yet. While it's a relatively simple addition within itself, hopefully these ideas might get you thinking about the ways in which account switching might enable you to come up with new and creative ways to use the platform and build new experiences for your on-platform audience.